Maybe it was the nesting instinct or maybe it was preparation for all the kiddie crafts ahead of me but today I thought I’d share a few of the bits I made for our bedroom none of which are clever or complicated but fun mini attempts at homespun items. 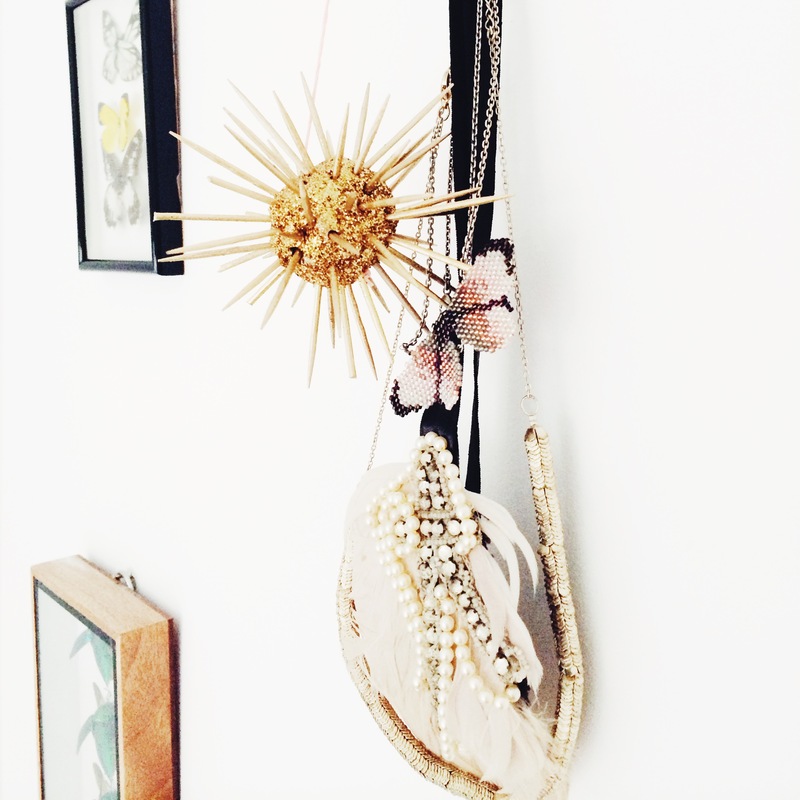 At the beginning of last year I started a craft board on Pinterest full of easy peasy unboastful activities. 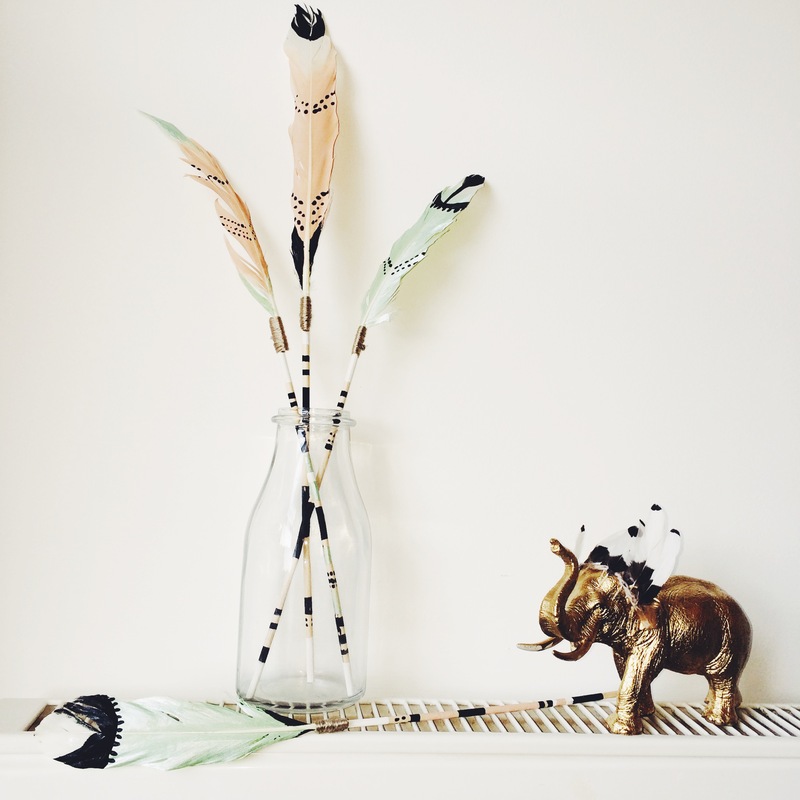 A lot of inspiration was taken from there, I am particularly drawn to the efforts of American crafters, including this first piece of fun – painting feathers! 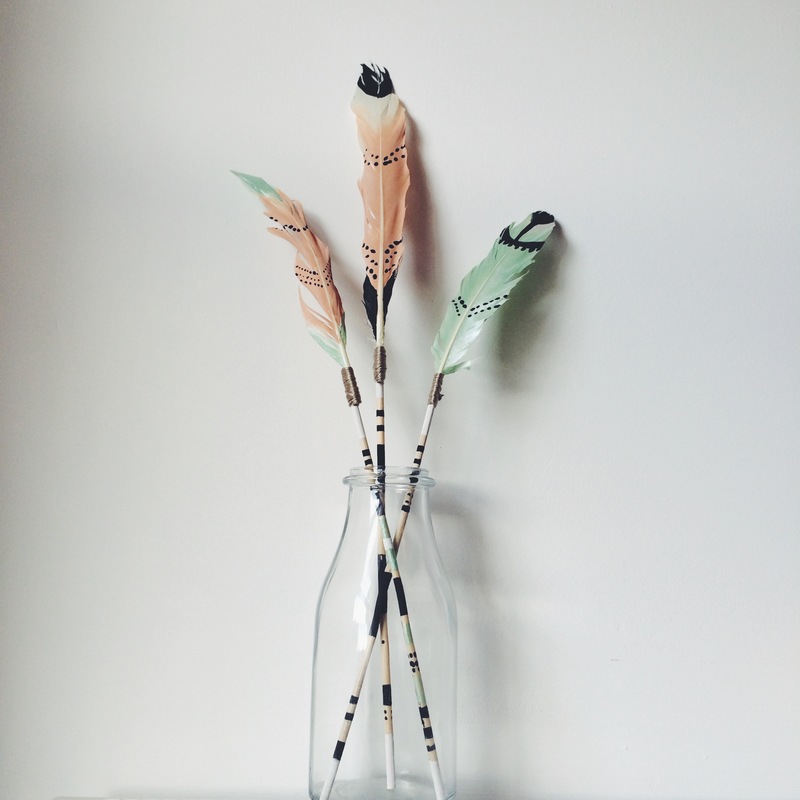 I really like how they turned out, all you need are some plain feathers, acrylic paint, string and dowel rods, if you like them follow the instructions here. 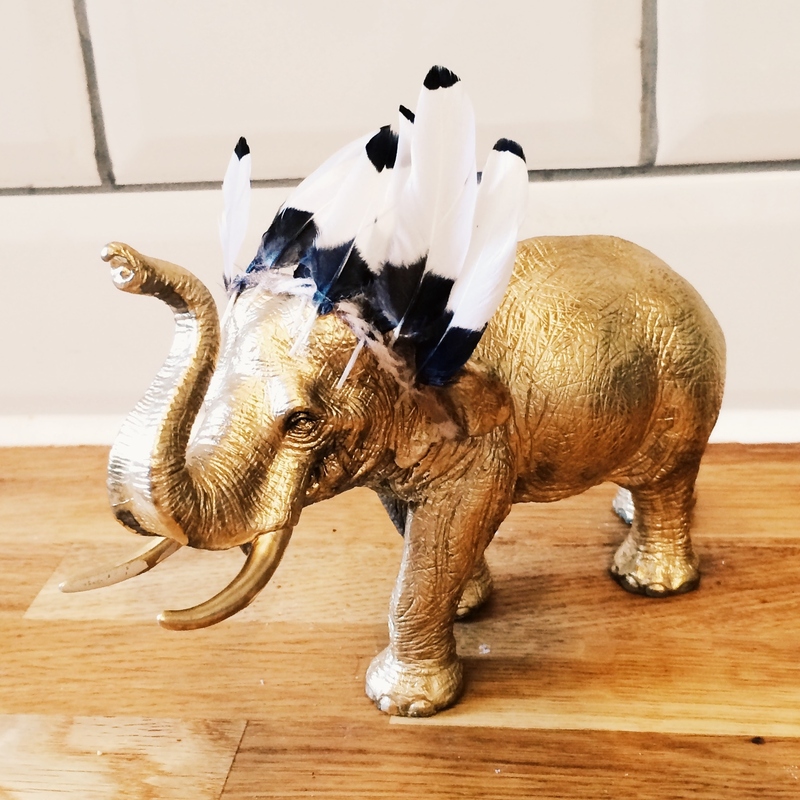 Sugar & Cloth blog has made use of gold coloured spray paint in a plethora of ways and I love her blog so gold spray has become a staple in our house. In a few of her pieces she has crafted things out of schleich plastic animals so that was where the thought for this elephant came from, Native American headdress is my own twist, we have also have a fun gold rhino in our bathroom whose horn doubles as a jewellery hook for my husbands wedding ring! I haven’t made a pompom since childhood but really like the texture this plain one creates on our bedroom wall using simple colours and linen. I have seen lots of people do clever things with washi tape, being inherently lazy I did something very small scale. 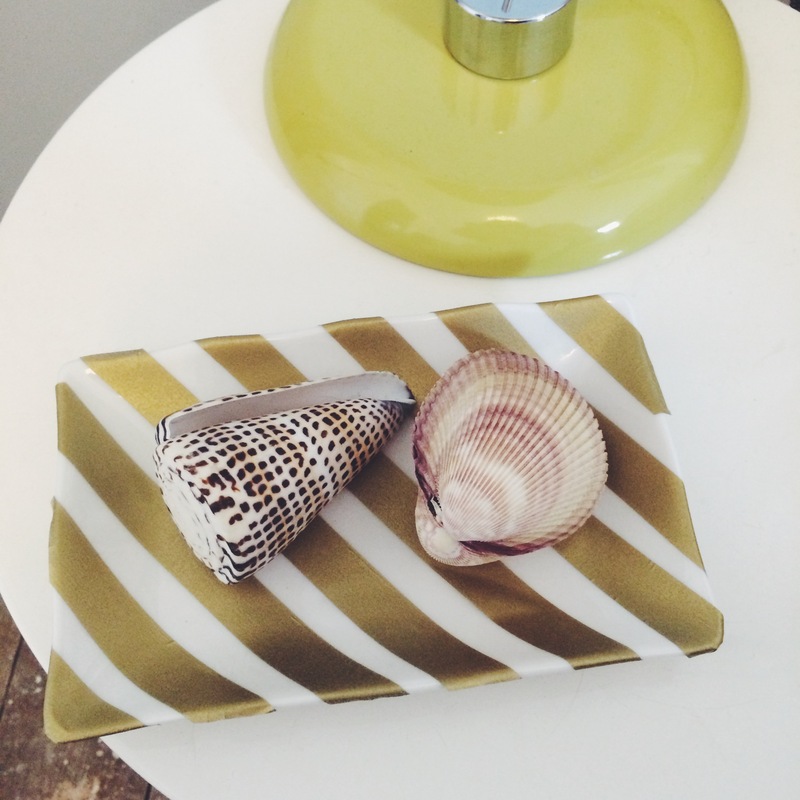 This is a white olive oil tray I had hanging around unused which I converted into a simple trinket dish to sit on my bedside drawers with the use of gold washi tape. 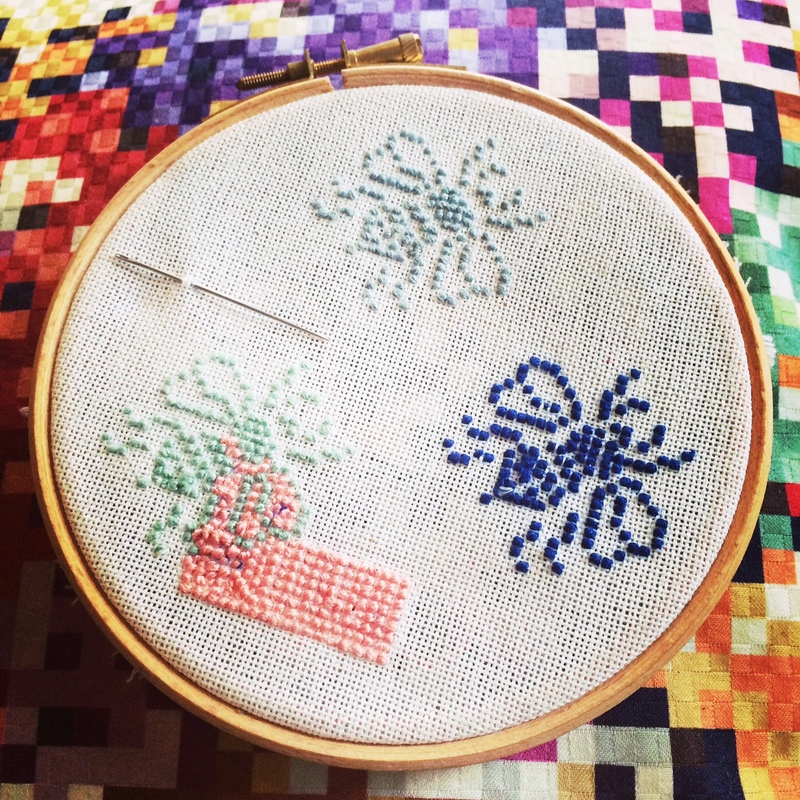 I am currently embroidering this hoop with cross stitch bees, pattern here; I love cross stitch but never have the time (or patience) to really commit, am hoping in the future to make Ted a cushion with cross stitched foxes, lions and insects on, but will I ever find the time?! ?